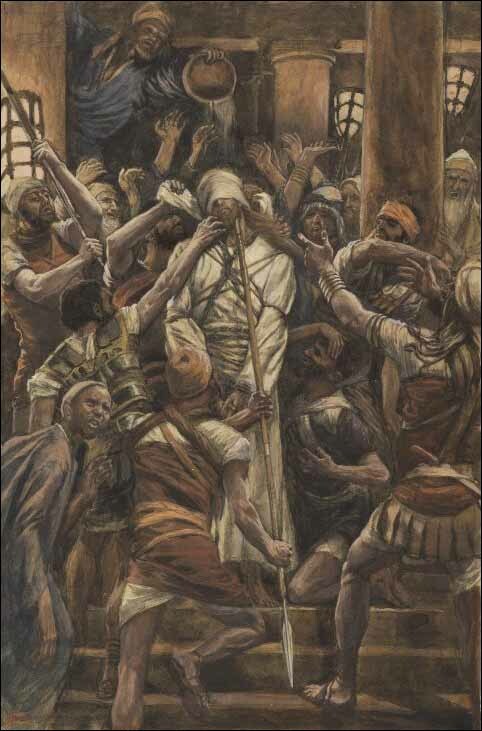 63 The men who were guarding Jesus began mocking and beating him. 64 They blindfolded him and demanded, "Prophesy! Who hit you?" 65 And they said many other insulting things to him.